Hi! I am a professor of medieval Spanish history employing the digital humanities and MOOCs to engage the public. Dr. Roger Lous Martínez-Dávila is an Associate Professor of History at University of Colorado-Colorado Springs (USA) and a European Commission Marie Curie Fellow at the Universidad de Carlos III de Madrid (Spain). He is a specialist in Sephardic Jews and conversos, culture, and family history for the 12th through 16th centuries; medieval and early modern Spanish history; religious minorities and religious converts; and the 16th century trans-Atlantic migration of Spaniards to the Americas. Relying on his specialized training in Spanish paleography and Spanish and Portuguese language expertise, Dr. Martínez has conducted research in approximately fifty (50) local, ecclesiastical, provincial, and national archives in Spain, Vatican City, Mexico, Bolivia, and the United States. His forthcoming text, Creating Conversos: The Carvajal-Santa Maria Family in Early Modern Spain, will be published by the University of Notre Dame Press in 2018. Roger served as Guest Curator for the Fractured Faiths: Spanish Judaism, the Inquisition, and New World Identities exhibition at the New Mexico History Museum (Santa Fe, NM), an exhibit that investigated the Sephardic Jewish community and culture before and after the Edict of Expulsion of 1492. He has published in the peer-reviewed Routledge Research Companion to Digital Medieval Literature, Bulletin of the Association for Spanish and Portuguese Historical Studies, and the Journal of Spanish, Portuguese, and Italian Crypto-Jews. Dr. Martínez is the fortunate recipient of several research fellowships and awards, including ones provided by the Mellon Foundation, the Council for European Studies, the Spanish Ministry of Culture’s Program for Cultural Cooperation, the International Institute for Jewish Genealogy (IIJG) and Paul Jacobi Center at the National Library of Israel, and the University of California-Los Angeles Maurice Amado Program in Sephardic Studies and Center for Jewish Studies. 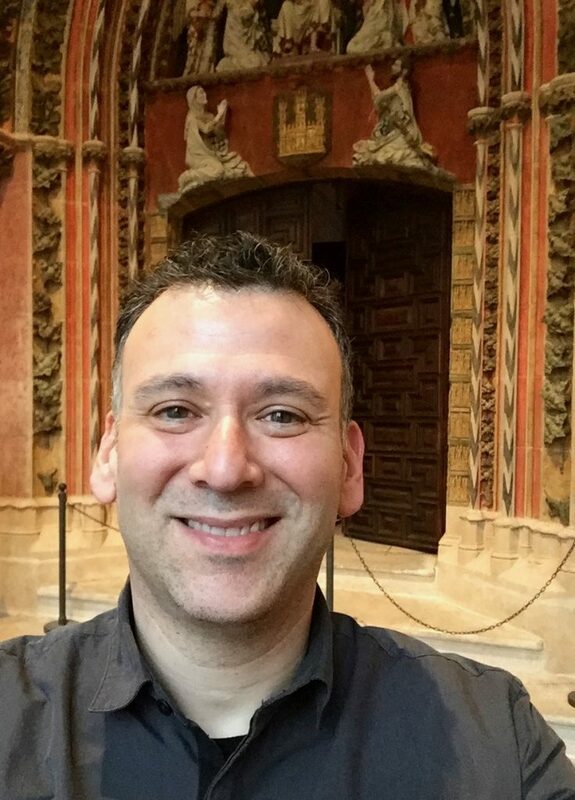 From Fall 2015 through Summer 2018, Roger serves as a UC3M CONEX-Marie Curie Fellow and is advancing his Deciphering Secrets Massive Open Online Courses (MOOCs) pertaining to Jewish, Christian, and Muslim interrelations during the Spanish Middle Ages. He endeavors to reach as many as 100,000 students. From fall 2008 to spring 2010, he served as the Burton Postdoctoral Fellow at Saint Joseph’s University (Philadelphia, Pennsylvania) and earned his Ph.D. in May 2008 from the Department of History at the University of Texas at Austin. Dr. Martínez specializes in the study of intercultural relations and how group and individual identities hybridize. A selection of my digital humanities work on virtual worlds (Virtual Plasencia), Massive Open Online Course (MOOC) lectures on medieval manuscripts and interreligious history, and onsite visits at Spanish museums and archives. Current research, teaching, and collaboration efforts.